Today is World Water Day and we would like to take this opportunity to share our accomplishments and future goals for Rock of Ages Community School concerning this very precious resource. We recognize the vital role that water plays in education. Without access to clean, safe water students not only attend class dehydrated and unable to concentrate, but they often miss school due to waterborne illnesses. Drinking contaminated water use to be their only option. 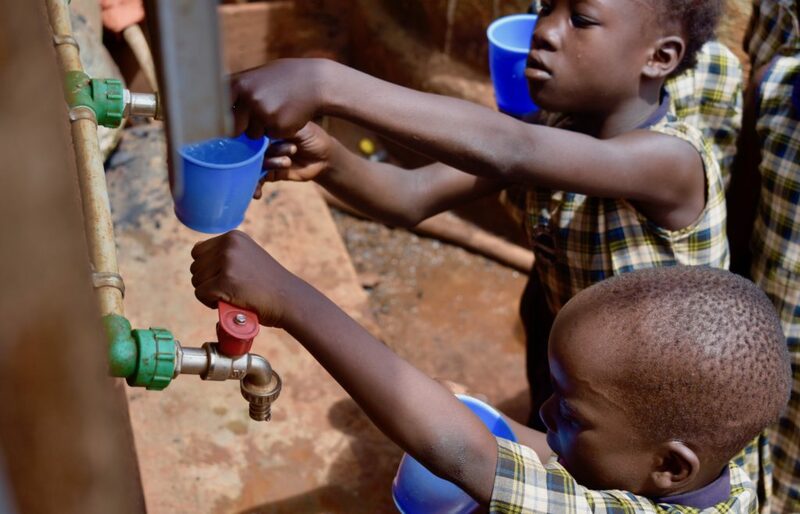 Hands4Uganda (H4U) started to tackle the water issues that ROA students were facing in 2013 by funding a water spigot that connected to a local water supply. While this was a step in the right direction, the amount and quality of water that was available was unpredictable. In 2015 a H4U mission team donated water filters that provided a fixed amount of clean water. However, with a growing student body and staff these filters could not handle the load of water needed to serve the 250 people relying on them each day. By the end of 2015 H4U was able to secure a three-level water filtration system that holds 450 liters of water – the Impact Water system! During the raining seasons of April to May and October through December, the students and staff at ROA are able to enjoying clean, filtered water ensuring proper hydration, better school performance, and fewer illnesses. The dry season, on the other hand, continues to provide a challenge. 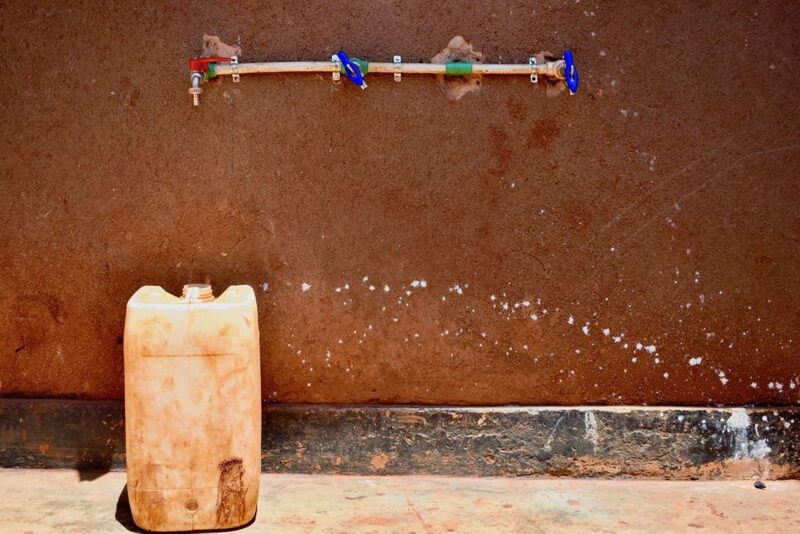 With water more readily available, we will be able to provide the school with additional hygienic luxuries including flushing toilets and shower rooms – things that are nearly unheard of in Mbiko homes and schools! Today, on World Water Day, we ask that you consider helping us in creating a better environment for the ROA students by donating towards the indoor plumbing of the new school facility. Our estimated need is $5000 to complete this project. Your tax-deductible donation will allow us to bring clean water into the new school building, permitting toilets to flush and shower heads to spew water that will significantly improve the daily and ongoing hygiene of our students and staff.